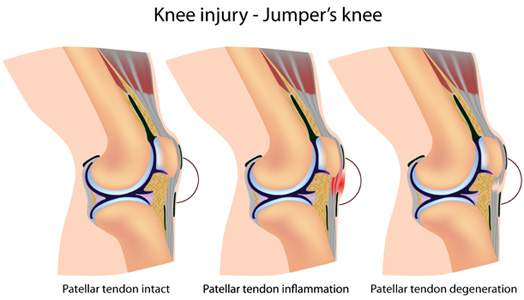 Jumper’s Knee is not uncommon in athletes. 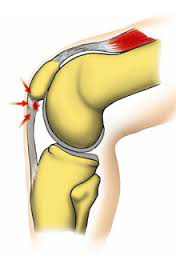 It is an overuse injury / tendinopathy of infrapatellar tendon. The pain is nagging and does not allow the athlete to participate in his sport. Taping technics and physical therapy does help but for a short duration. Ultrasonography helps to document the lesion and helps to guide where is the exact lesion and is a definite guide line for the shock wave therapy which does cure the illness and allows to bring back the athlete to the sports of his choice in about 6-8 weeks.